Have you started your holiday shopping yet? Do your kids have their lists ready to go, full of the latest and coolest toys and gadgets? Mine certainly do. Like many people, I do love the holidays and appreciate a gift here and there, but I've always been the person who loves watching someone open their present. I'm also guilty of being a bit too generous -- what can I say? I'm a giver. The reality is, though, many people don't have a single gift to open for the holidays. Some of these people live right in our own community. For the last few years, I've channelled some of my generous energy into local associations and charities that "give back" during the holidays. Of course, you can (and I encourage everyone to) support charity all-year long, but as they say, 'tis the season. For the last 3 years or so, my cousin has organized a Girls' Night In, where we assemble shoeboxes filled with everyday luxuries for The Shoebox Project. We all collect donations in the weeks leading up to the assemble party, and together, we spend an evening doing something meaningful. And you know what? It's a lot of fun, too. We eat, we laugh, we play music and we help more than 100 women. 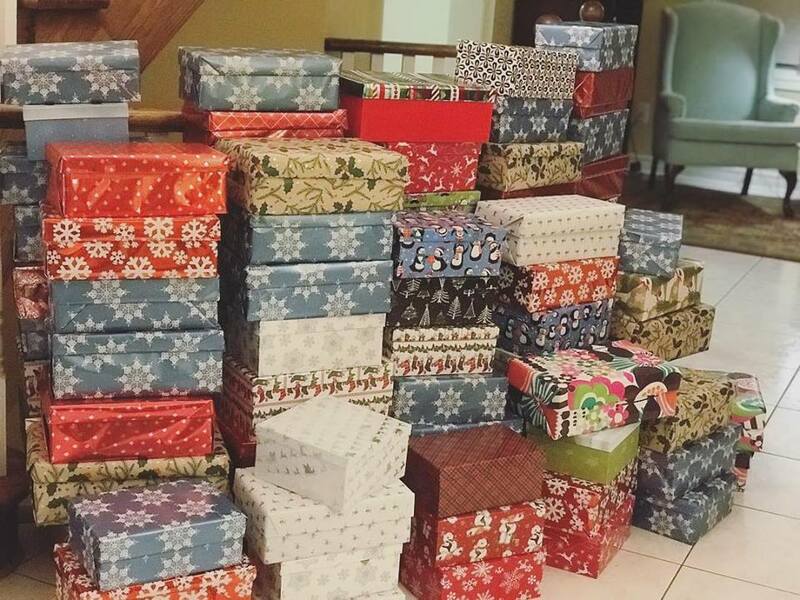 Each box is distributed locally to a woman's shelter, which means all of the donated items we assemble stay right in York Region. Another cause near and dear to my heart is HandFull Hearts. 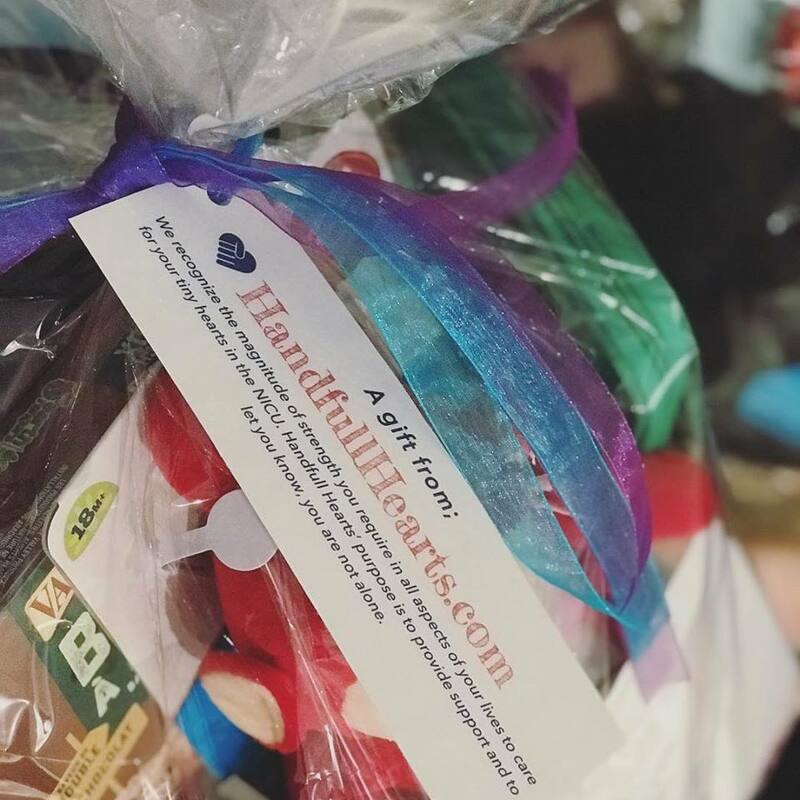 HandFull Hearts is a GTA based charity that supplies gifts to parents in local area NICUs. This year, I joined the organizing committee to help assemble more than 140 bags of goodies to 5 local hospitals. Later in December, we'll deliver these gift bags directly to the families. And you know what? It feels really good. Giving Back doesn't have to be difficult. In fact, it isn't. And hey, you don't even have to fight for a parking spot at the mall. It's the gift that keeps on giving. If you're looking for ways to donate your time or energy this holiday season, you need to check out LocalLove.ca. LocalLove.ca is a place where you can find easy ways to live well and do good in your community. Read about people doing great things in your community and find super simple ways to give back. I encourage you all to sign up for the Good News Letter -- a weekly round-up of inspiration delivered right to your inbox. It's a little present every single Sunday. Next week is "Giving Tuesday", and in honour of this day, I've put together my own compilation of ways you and your family can give back this holiday and show your #LocalLove. And when your kids show you their Christmas lists, make sure they also include a way to give back.